And now after looking at the awesome packaging which this figure came with, we will now look at its base. 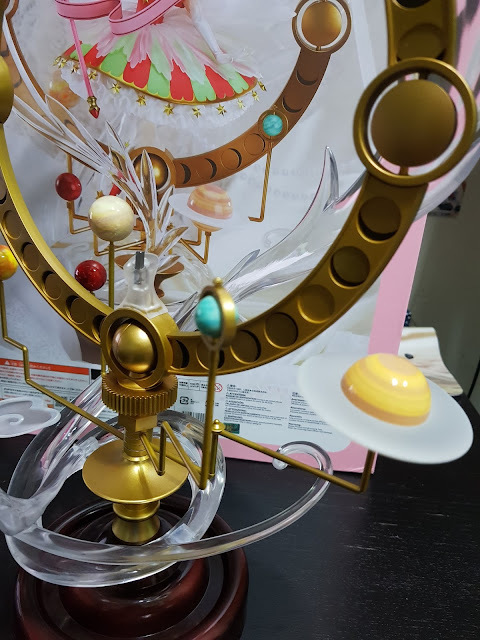 The huge and detailed base is one of the reasons why this figure is so popular, and there is just so much to talk about the base alone that I felt it warranted a post on its own! Let's start by looking at some features of the base that's just so attention grabbing. First, the star and moon at the top, flanked by the transparent wind-wings effect. 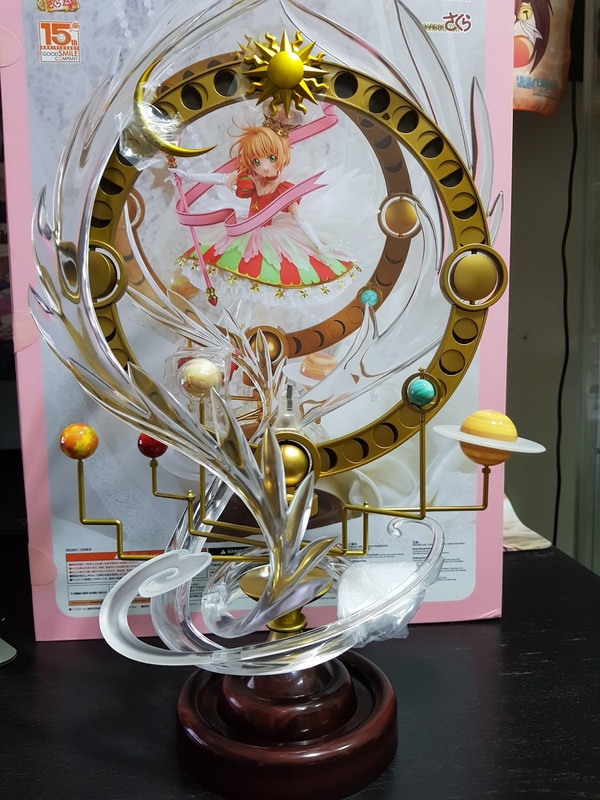 It creates this delicate feel that does not overpower Sakura due to the duller gold color scheme. 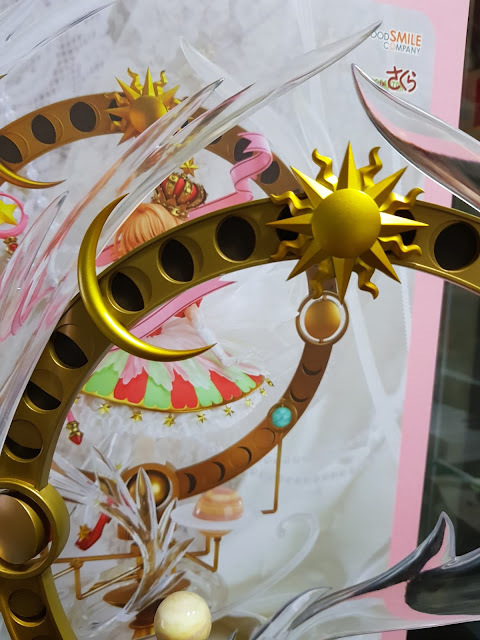 Though, we do see that GSC did not slack off on sculpting the sun and moon embellishments and the sun has different shaped rays while the moon's surface is rounded. 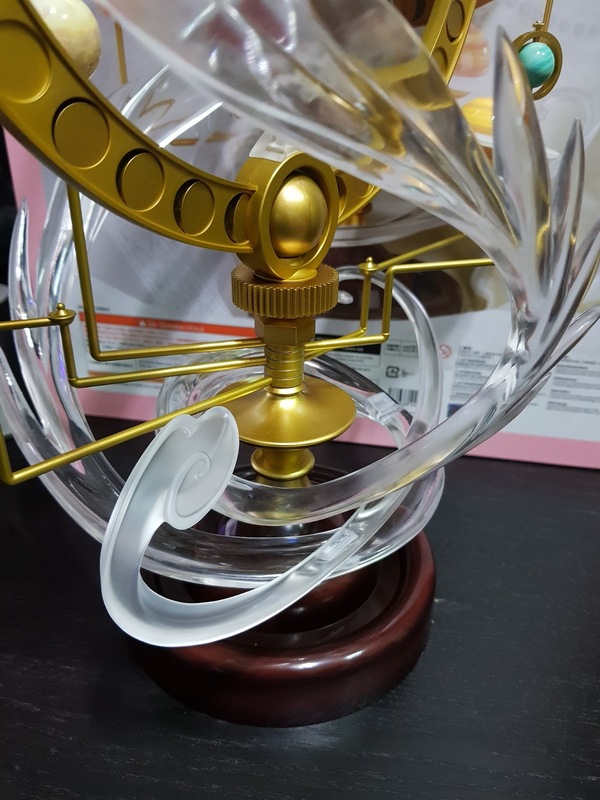 Things such as the sun and moon (12 o' clock direction) can be removed, while the round gold ball/planet (6 o' clock direction) can be rotated about its axis. There is a rod that goes right through the planet. This same rod mechanism is seen for the round gold circles (3 and 9 o' clock direction) which can be rotated as well. All around the rim of the base, you will see these evenly spaced circles that have a varying amount of black in them. This is probably linked to the different states of the moon (i.e. new moon, gibbous moon, full moon, etc) and I find that this really adds a very good touch to the figure and links it well to the theme. Well, I mean... if stars are blessing Sakura, I would assume that the moon loves her too, right? But of course, that's not all! We have the planets orbiting around Sakura too. In fact, there are 5 of them and they can be rotated about the axis (shown 2 images later). Let's start by looking at 3 of them first. We see that they actually sport different colors and designs. Some of them have a color marbling effect (white and yellow ones) while the remaining red one is more-or-less just plain red. 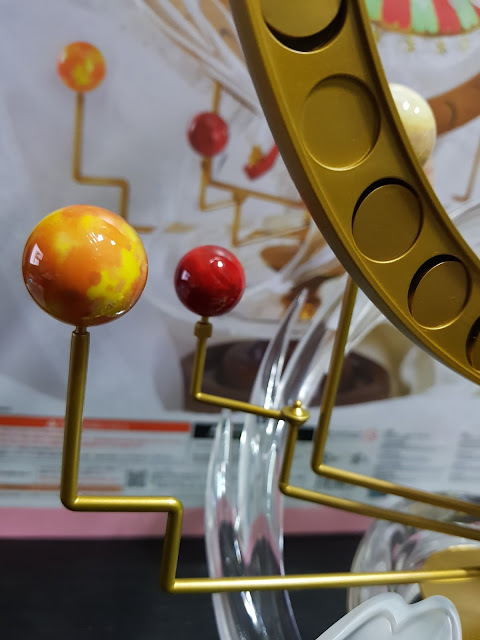 These are on different heights and length away from the axis also, making it perfect to play around with them without them blocking each other. 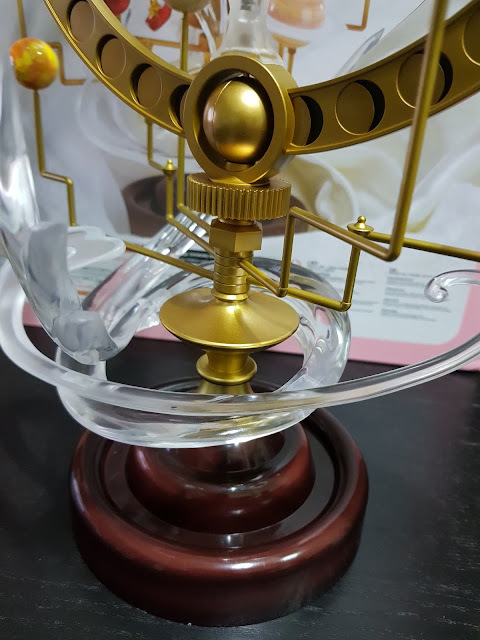 The axis itself has another gold planet on it. This gold planet can be rotated about its axis as it has a gold rod through its middle. But unlike the rest, it cannot be moved around. There is also a seam line through its middle, which you can see clearly from the image above. 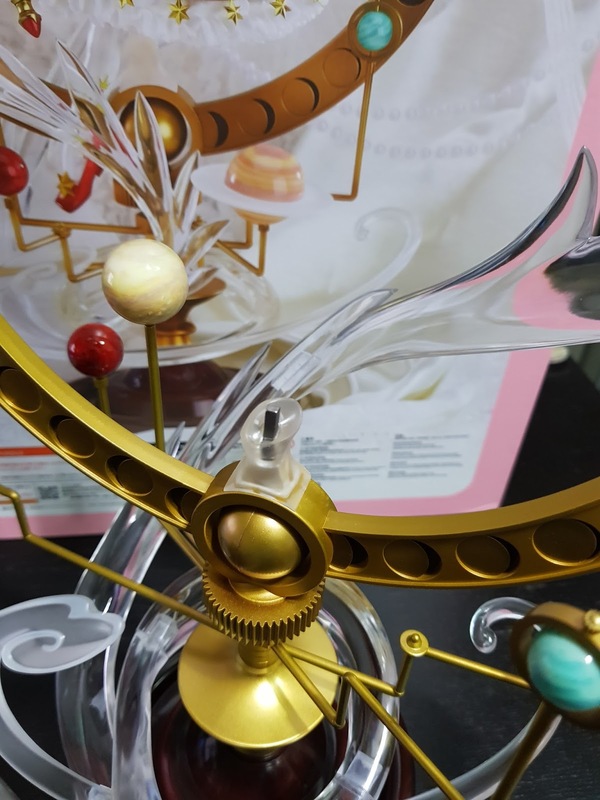 Directly under that gold planet is a gear that is intricately sculpted -- and I say this because it is definitely quite difficult to sculpt something with equal spaces between each groove. Under that gear and bolt, you will see that the rods linking the planets to the axis converge. They form this stack of tiny rounds which can be rotated. This is how you can move the planets 360 degrees around. Returning to the remaining 2 planets, we see that there's a teal one and a yellow one that's reminiscent of Saturn. The difference in design between these 2 and the other 3 really set the mood for variation and detail for the base. 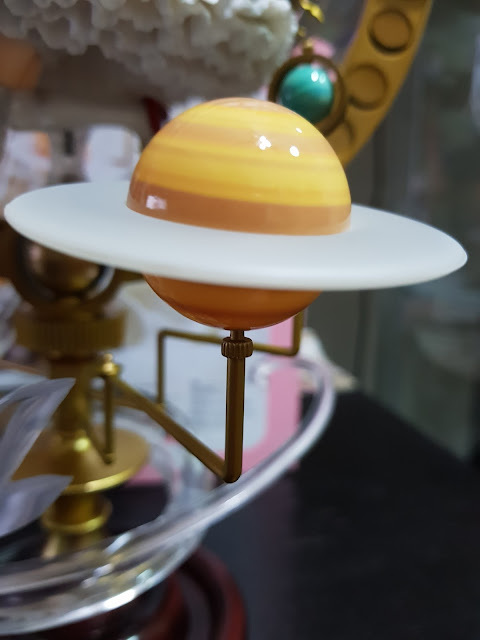 The teal planet is able to rotate about the rod it is on, similar to the gold planet. It's the only planet out of the 5 included that is able to do that. 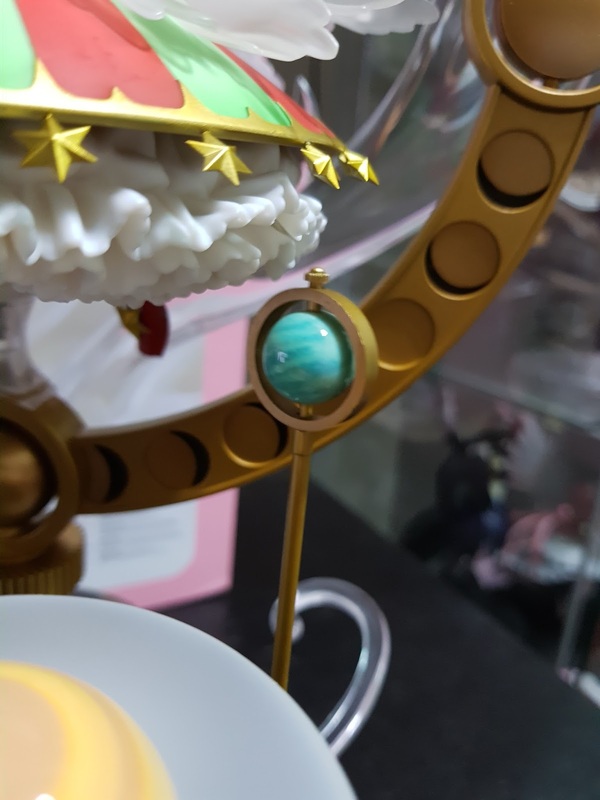 Next we see some close ups of the teal and yellow planet so you can view the marbling better. A view from above to see all the intricate designs at the bottom of the base. 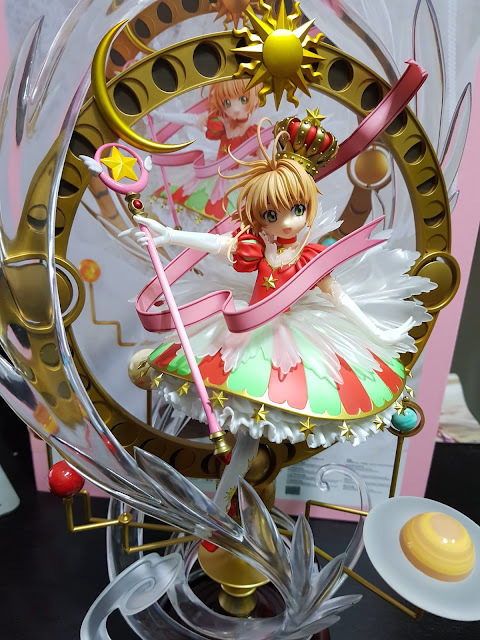 From this angle you can also clearly see that the peg that will be holding Sakura in place. This peg goes into a peg hole at her right leg and is basically the only support for the figure. 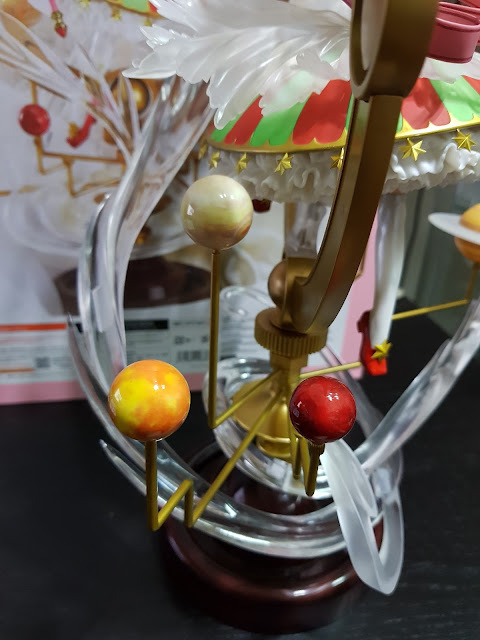 Though it may seem like there is limited support (which I agree), Sakura does not shake at all when attached to the base. But I'm not too sure if this is directly related to how stable she is on that tiny peg... but judging by her pose and the base, the figure's center of gravity must be quite low. There are so many different wind effects, such as the swirly ones and the sharper wing-like ones. These add depth and dimension to the figure and I just love clear parts in a figure so this is like a win-win for me! The back of the figure is quite underwhelming as it simply lacks the details the front shows. However, if you ever get this figure, you will never be looking at the back so let's just let that slide. Stay tuned for the assembly tutorial and the review of Sakura herself coming up next! 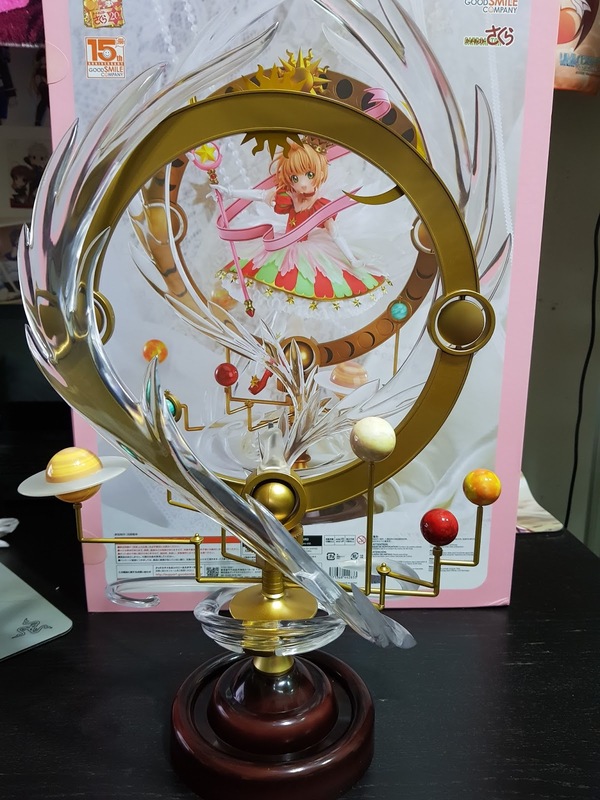 No Comment to " Figure Unboxing and Review: Cardcaptor Sakura (Good Smile Company) Base "